Over the last few years we have seen how the monopoly of Internet Explorer on the web browser market has started to diminish in favor of Opera, Firefox, Safari and Google Chrome. 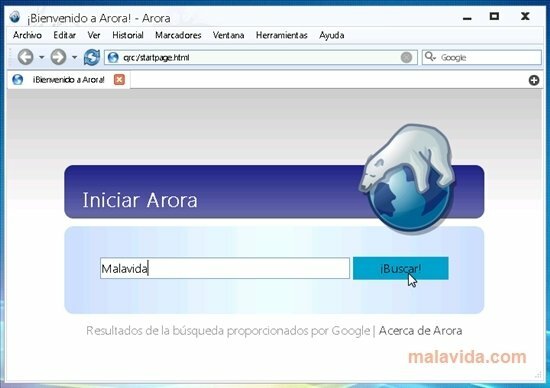 Now there are many and very varied browsers based on the so-called “big 5”, but Arora is the first one that mixes QT4 technology by Nokia and Web Kit, managing as a result a reliable and, especially, very fast browser. Arora has one of the fastest rendering engines. Something against Arora is the lack of customization options, since it doesn't have add-ons nor skins like other similar browsers, but its awesome usability and its interface (clean, clear and intuitive) compensate for it. 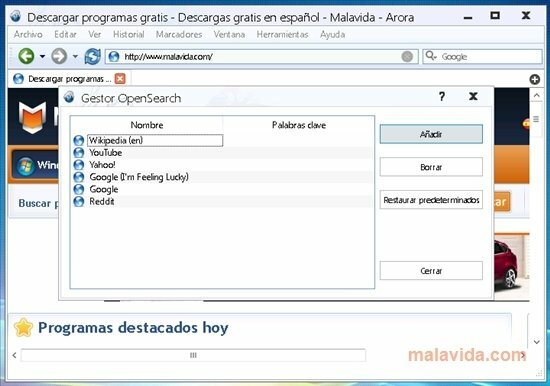 Another of the focus points of this small browser, are the few resources that it requires, making Arora suitable for any computer. The main objective of this project is to reach all platforms (Android, Mac, Linux,...) in a direct way, offering a speed and versatility that are typical of the applications developed with the rendering engine of Apple. If you still haven't tried the WebKit technology (Google Chrome or Safari) and you're curious about what if feels like to fly on the Internet, download Arora and check it out. 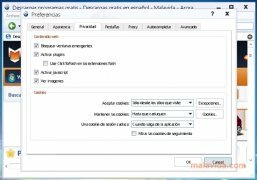 To access the rest of languages you have to go to Help -> Switch application language and choose the language you want.